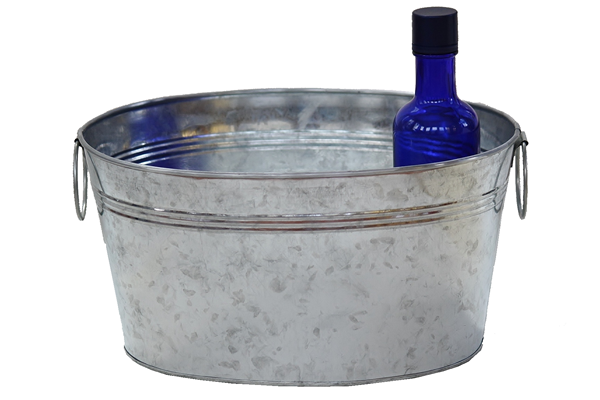 This deep tub, when equipped with the optional plastic liner, is the perfect size to chill wine and drinks for your guests. It's the ideal addition to your summer party. You can even add a bottle of wine and other trinkets to make a gorgeous vintage gift basket. Your friends will be very grateful for your creativity and kindness. We also offer a shallower tub that makes a wonderful garden planter.